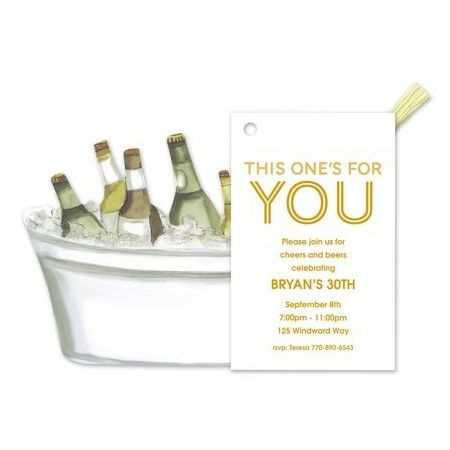 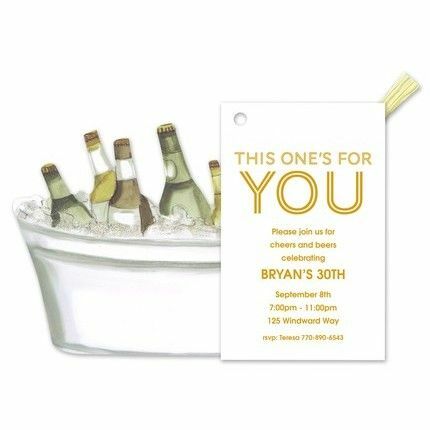 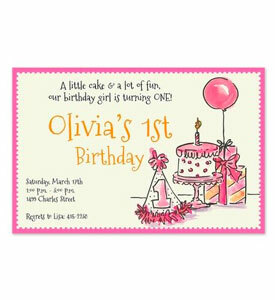 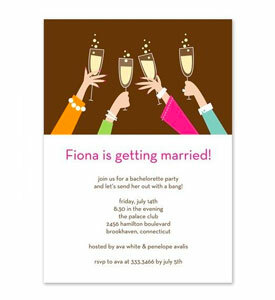 Create a buzz with this multi-piece invitation die-cut in the shape of a tub of ice full of bottles ready to be popped. 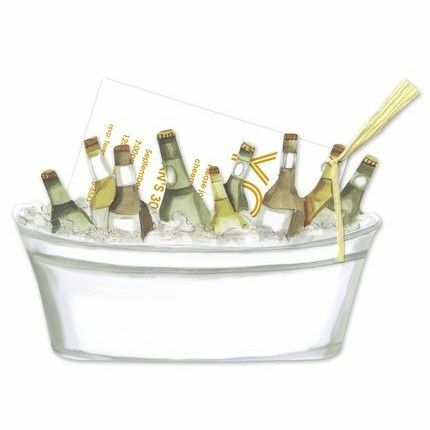 A bit of glitter adds subtle detail along the rim of the tub. 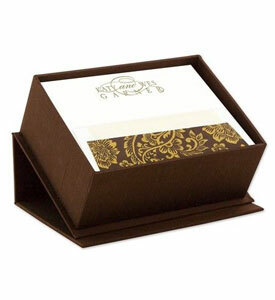 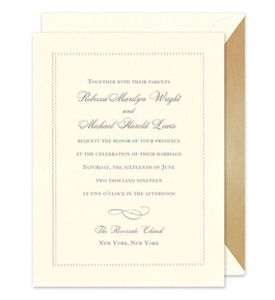 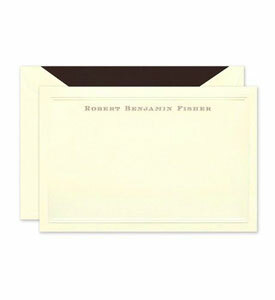 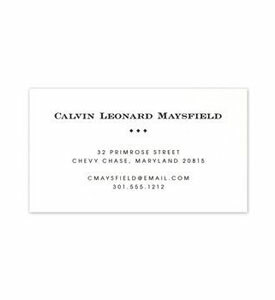 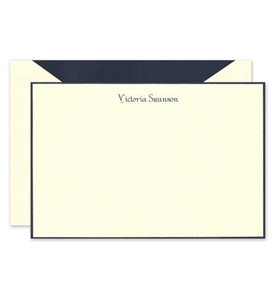 Add your personalized text to the white card that is attached to the die-cut tub with a tan ribbon.